Tag Archive | "Charger Kid’s Club"
CTA’s Kid’s Club is back! The program runs Monday-Friday from 3-6:00 p.m. (1-6:00 p.m. on early release days) for students in grades K-5 and is administered by Nancy Freyling. Students will spend time making crafts, doing homework, working on team-building skills, playing games and participating in outdoor activities. Mrs. Freyling is married to Brad Freyling and mom to sons Owen and Tripp in 6th and 4th grades at CTA. She has been active in the PTO and the CTA Creates program. Contact Student Services at 616-696-4905 if you are interested in enrolling your child in Charger Kid’s Club. CEDAR SPRINGS, Mich. – Creative Technologies Academy teamed up with a volunteer group to assemble approximately 200 bags for the Grand Rapids Police Department. 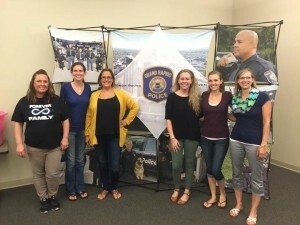 CTA parents, Laura Wortz and Ruthanne Brinks, were asked to be involved and plan an appreciation dinner for the GRPD as their husbands both protect and serve as police officers. 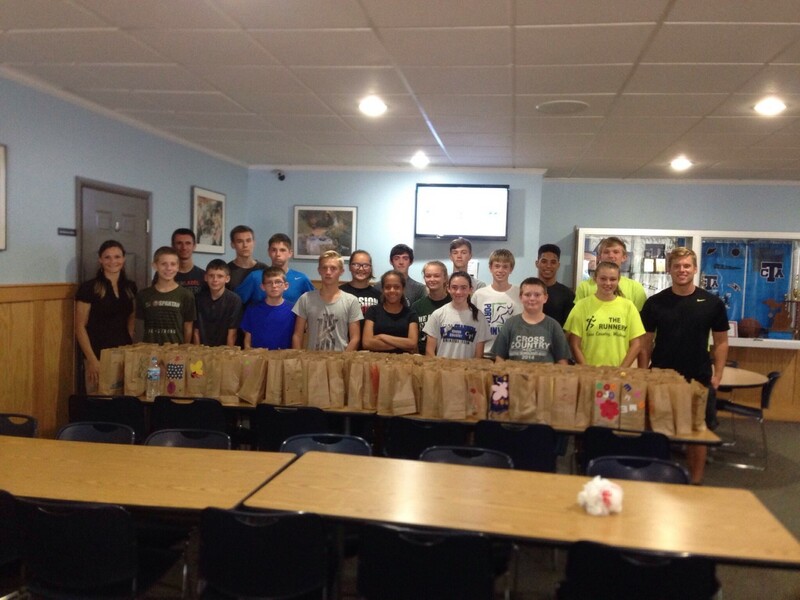 18 members of the CTA Cross Country team, along with their coaches, helped pack the bags with chips, granola bars, gum and mints. CTA’s elementary students and Charger Kid’s Club spent time decorating the bags before they were filled. The bags that were leftover from the appreciation dinner were given to the community officers to share with the youth that they encountered during their shifts. Meijer was a major sponsor and provided a generous donation for the supplies for the event. CTA’s Kid’s Club is back! The program runs Monday-Friday from 3-6:00 p.m. (1-6:00 p.m. on early release days) for students in grades K-6 and is administered by Vicki Ross. Students will spend time making crafts, doing homework, working on team-building skills, playing games and participating in outdoor activities. Miss Vicki brings 10 years of daycare experience and many years of volunteering with preschool programs. She has four children – one of whom is in 8th grade at CTA – and eight grandchildren. She loves to cook, bake and spend time with her children and grandchildren. She has a passion for working with children, volunteers at the Cedar Springs Library and her church. She is excited about being at CTA and working with the students. Contact Student Services at 616-696-4905 if you are interested in enrolling your child in Charger Kid’s Club.